– Hang on to your hat folks. The title does not say Christians should be intolerant. It says instead that tolerance is not an end itself but merely an important working principle in moral discourse and inquiry. Below is a summary of the point given by Abp. 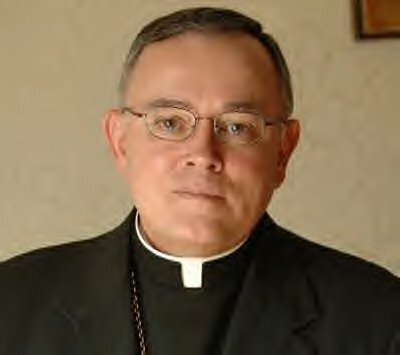 Chaput of the Roman Catholic Church. It is taken from a recent speech he gave back in 2009. Archbishop Chaput of Philadelphia said in the last year that evil preaches tolerance until it is dominant and then it tries to silence good…We need to remember that tolerance is not a Christian virtue. Charity, justice, mercy, prudence, honesty — these are Christian virtues. And obviously, in a diverse community, tolerance is an important working principle. But it’s never an end itself. In fact, tolerating grave evil within a society is itself a form of serious evil. Likewise, democratic pluralism does not mean that Catholics should be quiet in public about serious moral issues because of some misguided sense of good manners. A healthy democracy requires vigorous moral debate to survive. Brave words that need to be spoken more often. Archbishop Chaput is one of the clearest, most courageous, most astute speakers on Christian morality in our time. “Evil preaches tolerance until it is dominant and then it tries to silence good” — this is what we have witnessed in the last four years of Obama’s presidency, and what we will see even more of in the next four. Americans think they have reinvented history, but the more we think that, the more we are unknowingly trapped by the evils that have made tragedy of so much of history. Few American Orthodox leaders grasp what is at stake in the battle for Western culture. Met. Jonah does but the manner of his removal reveals a dearth of vision in the presently constituted OCA. The Greek Orthodox Church exhibits a deep moral confusion at the top (see: A patriarch who ‘generally speaking, respects human life’) which renders it incapable of serious reflection on the causes of Western dehumanization. ROCOR and the Antiochians don’t compromise the moral tradition so there is hope there. Fr. Hans, would you care to expand your last paragraph and talk about moral awareness (or lack thereof) in the Orthodox Church and Churches worldwide, with specific reference to the battle for Western culture? I’m not ignoring this Bill. Just swamped. You’ve already partly answered my request in your essay on Homosexual Marriage and the Dusk of Liberty. Your essays are always right on target, but this one shines with special brilliance. It would be good to know what the Orthodox are saying about this. It’s easy to find Catholic sources, but what are good sources for official Orthodox views? Bill, unfortunately, the places where these questions should be discussed — the episcopacy and the seminaries — we hear little but silence. The few bishops who speak on these matters clearly have not thought through them much. The seminaries, well, they seem to be occupied with different things. There is an episcopal statement that affirms traditional marriage. We have the intellectual power to address these issues, but there is a strong reluctance to engage. I’ve heard some defenses that we Orthodox do not engage the culture in these ways, but the critics clearly are not as familiar with the Fathers or even the Bishops of the Russian Orthodox Church who are taking the lead on these questions in the Orthodox world. I agree, Bill, and this was made more evident in CNN’s coverage yesterday of the Inauguration Day Parade. Reporters, marchers, and attendees were fawning over a man who is one of the most – if not, the most – pro-choice presidents of our time, who is sanctioning legislation for homosexual rights, and is polarizing this country. I told someone yesterday that if Jesus Christ Himself ran for President of these here United States He would lose the election. Alyosha, your online name and your post both remind me of the “Grand Inquisitor” chapter in The Brothers Karamazov. Alyosha Apple, a.k.a. "The Grand Inquisitor"
Hi, Bill! I am not familiar with Brothers Karamazov, and I don’t know whether you are making an observation, compliment, or barb. Be that as it may, thank you for your reply. It definitely has compelled me to read Brothers Karamzov now and look forward to that particular chapter to which you had alluded. Alyosha, my apologies. I should have written more clearly. First, Alyosha is the name of the youngest (legitimate) Karamazov brother, a young man of deep faith and charity. I was trying to make a positive connection between your name and the novel, but I see now that this was presumptuous, and I ask your forgiveness. Second, in the chapter I mentioned, Jesus appears to the head of the Spanish Inquisition, tasked during the Middle Ages with rooting out and punishing (often killing) Western European heretics. At great length, the Inquisitor tells Jesus that nobody really wants the awful burden of total freedom offered by God, and that they prefer to be told what to do by religious authorities like him. Consequently, when Jesus comes again in glory, he will be feared and rejected as he was before. As he would be if he ran for President of our country. Of course, Doestoevsky tells the story much better than I do. It’s a great, thought-provoking read (as is the whole novel). No need to apologize. I thank you, though, for your humility and kind instruction. Your words are truly encouraging. Amen! I concur with all of the aforementioned. Nice work. I must admit that I upon reading these issues, I am filled with ambivalence. The Archbishop would call me a “poor citizen,” but I have come upon my own three-fold method of attempting to manage. In the morning, I attempt a meditative variation on the parable: “His lord said to him, ‘Well done, you good and faithful servant: you have been faithful over a few things, I will make you ruler over many things: enter you into the joy of your lord. '” (Matt. 25:21) I stopped watching CNN. During the day, I strive at least once to be instructed, and I carry in my wallet the last paragraph of Tolstoi’s The Three Hermits, describing them running on the water to catch up to the Bishop who says, “‘Your own prayer will reach the Lord, men of God. It is not for me to teach you. Pray for us sinners.” And the Bishop bowed low before the old men. And I will never forget Paul, a bus driver on the Grand Concourse in the Bronx, who always struck me as annoyingly dumb and obnoxious until I heard him speak at a self-help meeting saying “I turn my life and will over to the care of God as I understand him on a daily basis,” and how he places his bedroom slippers under the bed each morning, forcing him to get on his knees each night. I live in a country where despicable behaviour is sanctioned outright by statute. This is neither new history or historic news. Nevertheless, I may choose not to participate in this behaviour, even decry & protest to a point short of violence, all without consequence. This is remarkable. Irvin Yalom, Professor Emeritus of Psychiatry from Stanford, has always been critical of Freud for acknowledging, but not delineating or expanding on the primordial conflict of freedom. His Existential Psychotherapy is classic for this issue alone. The reduction of this extraordinarily complex issue to anything that would manage to somehow include the name Jonah Paufhausen speaks to the reality of the state of the public square. I rest my case for my method. Mr. Stankovich, if you will allow it, I commend you for pursuing your “rule for life.” I imagine that Archbishop Chaput might do the same, rather than calling you a “bad citizen,” since you are indeed engaging sincerely, in your way, in the “vigorous moral debate.” Not everyone can engage it on the level of a Met. Hilarion or Pope Benedict. I believe, however, that calling Fr. Hans’s comment about Met. Jonah a “reduction” is a bit simplistic. I may be a sinful man, but this does not necessarily prevent me from having deeper insights into the moral crisis than the people around me. The same is true for everybody, even my hated enemy. God has so richly blessed me to, literally, sit at the feet of the fathers of our generation and to simply listen, the most profound of whom was Vladyka Basil (Rodziako), who I know to be a Saint of the Church and will one day be acknowledged as such. Would it be appropriate to “compare” his insight with others? Prudent or “fair” to measure one bishop against another? I do not believe so. But I will say that Vladyka Basil was the worst administrator undoubtedly ever know to the OCA, and he realized it. He retired to Washington, DC to spend glorious years on the Voice of America as the Orthodox disciple & evangelist to the Soviet Union. Can you imagine? And like his friends – literally his friends – St. John Maximovitch, St. Nikolai (Velomirovich), St. Justin (Popovich), and his confessor, Met Anthony (Bloom), never would they have imagined that they personally were responsible for the sustenance or survival of the Church. In an analogy I have used previously, the Prophet Jonah spoke one sentence to Nineveh, but it was the people who chose to repent. We lose sight of the necessity & equality of the relationship. If you have interpreted my comment to suggest I bear some personal ill-will for the former Metropolitan, you would be mistaken. I am, however, greatly offended at the suggestion that his resignation as First-Hierarch signals a “dearth of leadership,” as this is a fundamental lack of trust in the love of the Bridegroom for His bride, for the Enlivening & Invigorating Spirit, and the unreined and unstoppable Energy of the Father. Without this belief, we are those which have no hope. Thank you, Mr. Stankovich, for clarifying your perspective to me. You make an important point in your last paragraph. Too often do we forget that the Church is divinely led. Your point also reinforces the understanding I tried to express in my post, that while all of us are flawed vessels, God nevertheless chooses to place within us the treasure of His grace and mercy. Holy Scripture bears this out repeatedly, as the LORD saves His people through unlikely candidates. Joseph, a man with no children and thus no reason to be remembered after his death, preserves all the children of Israel during the famine. Joshua conquers Jericho with the help of Rahab, a prostitute. Naomi the foreigner becomes an ancestor of the royal line of Judah. David, the last and least of his father’s sons, is chosen to defeat the enemy giant with a shepherd’s weapon, and in turn to become king. The LORD selects Amos, a lowly fig pincher, to address the divine word to the king of Israel himself. In Jesus’s parable, only the hated Samaritan acts with mercy to save the victim of the bandits. Most astoundingly of all, the Word Himself achieves the world’s redemption and healing by dying in the same manner as a rebellious slave. So we may be thankful and humbled at the depth of God’s mercy in loving and saving us despite our sinfulness. Our flawed condition does not obstruct God’s purpose. Even bad church leaders can carry a gift of grace that benefits us. Thereby does God win great glory to himself. Archbishop Chaput makes LGBT people the personification of Evil and inveighs against their pleas for mercy. I am certain that men like him gave similar warnings about American Indians before they murdered Archbishop Chaput’s ancestors. No he doesn’t. Characterizing him in the way that you do however, makes him appear evil. That’s your intent, correct?